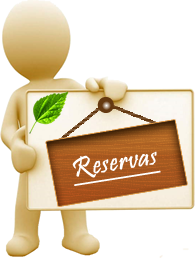 You can make a pre reservation through the internet. Please fill out the required information and wait for our contact. Payment: We accept only cash, debit or credit cards to pay daily rate and extras. We do not accept checks. Bank charging only with approved registered companies and after the second stay. The hotel holds the right to charge overnight costs in advance. Credit & Debit cards: we accept all flags. The hotel holds the right to require accommodation guarantee. Cancellation policy: Guaranteed reservations may be cancelled by noon of the previous day of predicted check-in date. The amount payed will be refund with taxes discounted. After that time there will be no refund. Pet policy: Pets are not allowed in our rooms or any other area of our hotel. Contact us for further information of places to accommodate them in our town. Children policy: One child up to five years old is courtesy when sharing room with the parents.